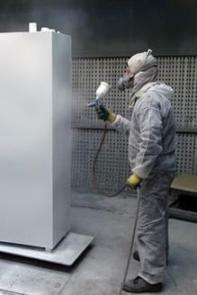 Powder Coating JT Finishing Solutions Ltd can Powder Coat both aluminium and steel in a variety of colours. It is important that metal products undergo the appropriate pre-treatment processes which JT Finishing Solutions Ltd offer prior to coating in order to give the best possible performance and finish. Coatings include automotive (for example: bike frames, wheels and head gaskets etc) architectural, decorative and textured finishes. Please see our gallery for some before and after pictures. Bead Blasting We bead blast each item prior to powder coating which removes all surface scale and rust and provides an excellent key for subsequent finishes. Air Dry Single Pack For general applications we offer an air dry single pack, a fast air drying Alkyd. 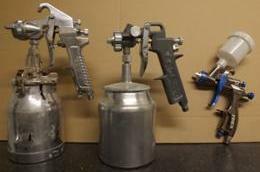 Air dry single pack systems can be applied over bare metal or where required over a primer. An additional benefit of the air dry single pack system is that final touch ups can be made to the coating after installation where onsite drilling or welding might be required.